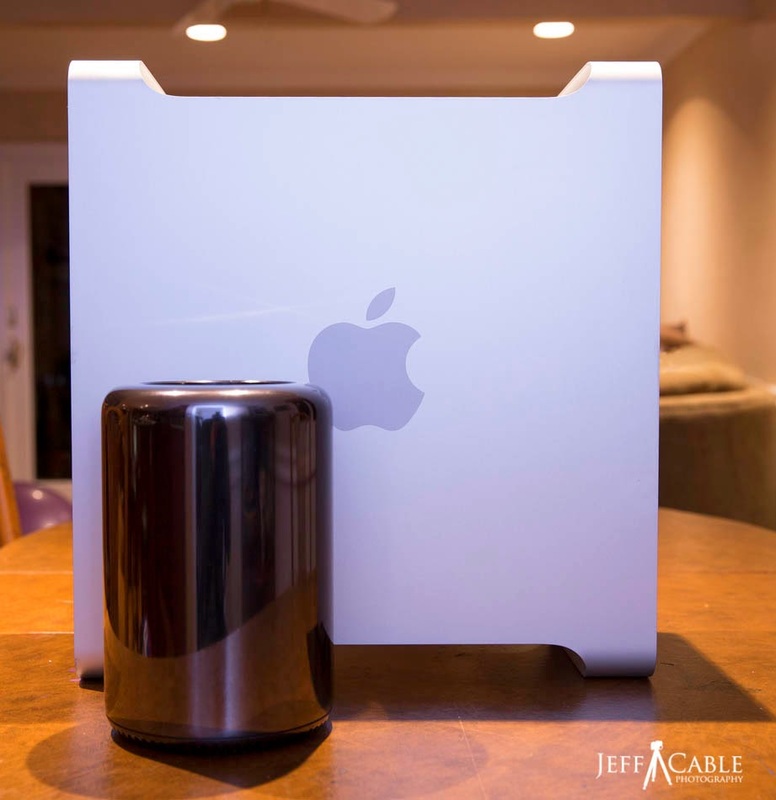 Jeff Cable's Blog: The new Mac Pro from Apple: Converting from the old Mac Pro, set up, and first reactions! 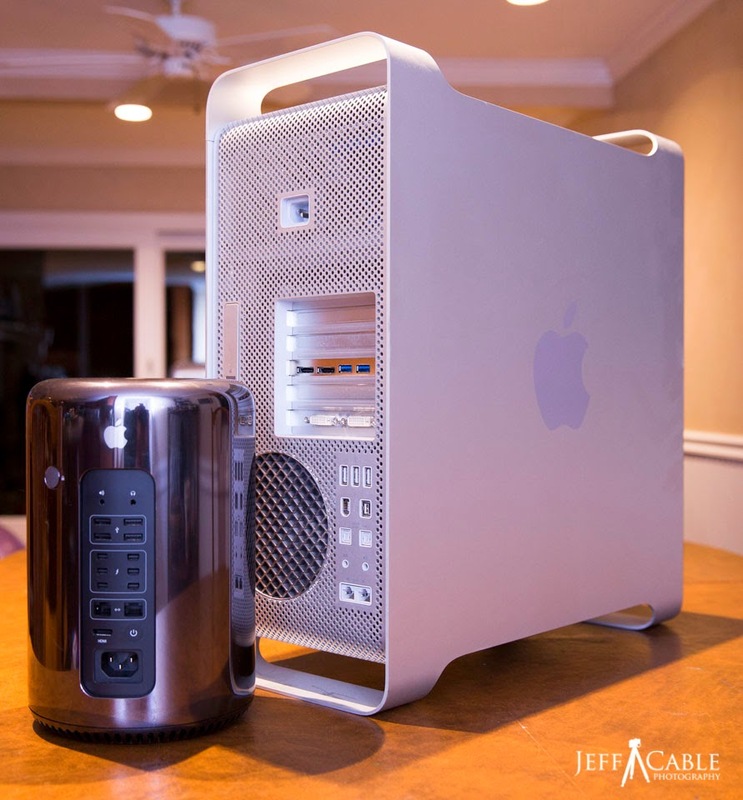 The new Mac Pro from Apple: Converting from the old Mac Pro, set up, and first reactions! After years of waiting to see if Apple was ever going to come out with a new Mac Pro, earlier this year Apple announced the new model for 2013. And then, after way too many months of waiting, my new Mac Pro has finally arrived! Wow - what a difference in size between the old Mac Pro and the new one. The old Mac Pro was really large and built up some serious heat. During the summer it was painful to work on the machine as it did double duty as a computer and a heater in my office. This new computer is tiny in comparison and seems to run cool all the time. With that said, the size of the new Mac Pro is relative, in that there is only room for the one SSD and does not have space for any additional hard drives. When I saw the announcement of the new computer, with no expansion options for internal drives, I was a bit put off. Storage is VERY important to me and I use a lot of drive space. Apple's philosophy is to use external drives connected through Thunderbolt. This is supposed to be a very fast solution, but also adds more devices on my desk. Thinking that the new computer was coming in December, I started my transition plan months ago. I figured out what accessories I would need and purchased those in advance. I bought some adapters, cables, and an external optical drive (knowing that I would need to burn some CDs or DVDs for clients). I knew that I needed to get all the information off of my old Mac, which had an SSD and three 3TB Western Digital hard drives, and move the data onto Thunderbolt drives. My first step was to get a Thunderbolt hard drive that could hold a lot of data. I decided on the Western Digital 8TB drive. But I also knew that there was no way to connect this drive to my existing Mac Pro, since this machine did not have a Thunderbolt port. I devised a plan in which I would transfer all of my data to my older Drobo S, which had FireWire 800 and USB 3.0. I connected the Drobo to my older Mac through FireWire 800 and transferred all of my photos over many evenings. Then, since I have a Macbook Pro which has USB 3.0 and Thunderbolt, I connected the Drobo S to the USB 3.0 port and the new WD 8TB drive to the Thunderbolt port and moved all the data from the older Drobo to the new and fast Thunderbolt drive. That took approximately 14 hours, but I did this overnight, so it was not a problem. I later realized that I could have also used an inexpensive Thunderbolt to FireWire 800 cable to connect the newer hard drive to the older computer. I purchased one of those, but had trouble getting it to work correctly. Since I have more than 7TB of photos which is nearly filling the WD 8TB drive, I am also connecting my Drobo 5D with 16TB of WD drives as additional storage and backup. This might be a little overkill, but it gives me plenty of room for the future. I had a 2TB Western Digital Passport Ultra drive connected to my older Mac Pro, acting as a Time Machine backup of the SSD. This means that my operating system and applications are always being backed up. I could have connected this time machine drive to the new MacPro and moved all the applications, but decided that I wanted to start with a clean install. So, I booted up the new Mac Pro and installed the most important applications (Photo Mechanic, Photoshop CC, MS Office, Chrome, NIK Software...). I wasn't sure how to deactivate Adobe CC from my old machine, but it turned out to be simple. I just signed out on the old machine, signed in to the new one. Simple! I also moved many of my preference files and data files (like Mail, Photoshop brushes and actions, Photo Mechanic IPTC data) over from the old machine so that many of my settings would be on the new machine. I was really happy that so much of my data was transferred to this new computer over the cloud. All of my browser info (bookmarks, cookies, settings) came across seamlessly with Chrome, and iCloud made sure that all my contacts and calendar info were on the new machine. That was really handy. Oh, I forgot to mention that my Apple 30" Cinema Display would connect to the new Mac Pro, but the adapter I purchased was the wrong one. 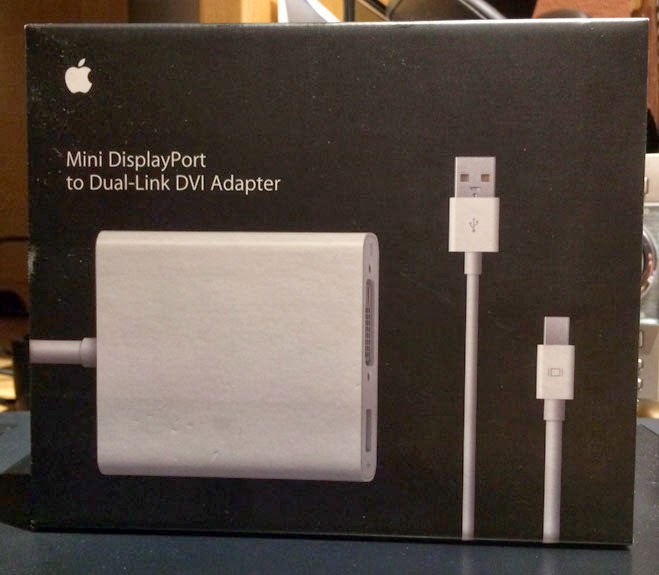 In my preparations months ago, I purchased the Mini DisplayPort to DVI Adapter, but this would only let the 30" display go up to 1280x800 resolution. And that was not going to cut it. So I returned the adapter and purchased the Mini DisplayPort to Dual-Link adaptor and that let me show a much higher resolution. As it turns out, the day after my initial setup, I received my new Wacom Cintiq 24HD display, and that works with the new adapter as well. The first thing I did, was connect my Spyder calibrator to color calibrate the Cintiq. The fun part of having the new Mac Pro is all the high-speed expandability that I have at my disposal. I have connected numerous Thunderbolt drives (Western Digital 8TB drives and Drobo RAID system) to the computer, and USB 3.0 for my Lexar HR1 Workflow reader solution. And I love knowing that everything connected is running at high speed. The only bad thing is that the new Mac Pro only has 4 USB ports, which are all filled now. I have so many devices (Wacom Cintiq, Epson R2000 printer, video adaptor, Dymo Labelwriter 450 printer, keyboard, Intuos tablet, card reader) that I am short one port. I have ordered a 7 port USB 3.0 hub, but I can't understand why Apple would put only 4 USB ports when they have 6 Thunderbolt ports. The Thunderbolt ports can daisy chain up to 30 devices, but the USB ports can't. A small oversight in my opinion. I knew that 16GB of RAM would probably not be enough, so I have also added a bunch of Crucial DRAM to the computer, boosting it from 16GB to 64GB. This is much less expensive than ordering Apple's memory and worked perfectly. It should make the machine even faster. Installing the memory was so easy that I did not have to look at a manual or online. I just opened up the computer and slid in the four 16GB modules. Here are the 4GB DRAM modules which came with the Mac Pro. I then inserted each of the Crucial 16GB modules. There are two DRAM modules on each side of the Mac Pro. So...at this point, you might be asking how much faster this computer is as compared to my older Mac Pro. Well....honestly, I am not sure yet. I just started editing photos on the computer and have not put it through my "real world" tests yet. My older Mac Pro was pretty decked out, but I hope to see some big differences with the power of this new computer. My goal is to never see the little spinning beach ball ever again in Photoshop. Was it worth the money? Again, I think it is too early to tell you, but I will keep you posted once I get everything dialed in. I know that a lot of people on Facebook were saying that I could get the same amount of power from a custom built PC, but this is not what I want. I want something that works great straight out of the box, and I love the Mac ecosystem. I spend so much time on this machine, that I am willing to pay more to get the best. Time is money after all. A lot of people talk about the cool look of this cylinder, and I agree that it is pretty slick looking. But, honestly, I have it behind my Cintiq and don't even see it. That is a good thing, as the old Mac Pro was enormous. Do I like having all the devices hanging off of the computer? Not really. I still think I would have been happier with a machine that was a little bigger with more internal expandability, but if the speed and external expandability pan out, then I can deal with that. I plan to crank on this new computer for another couple of weeks and then give you my final decision. After 3 days of working on it, applications seem to be performing very well and I have yet to see any spinning beach ball telling me to wait. That is a good sign. Stay tuned! Thanks for the info on your upgrade Jeff (a real world test is always the best) I await part2. I have a older Mac Pro and agree that all the extra bits are a pain. This has made me consider downgrading to a iMac and upgrading more often. I decided to wait on this one. I found the iMac i7 to be pretty dang fast and the screen is awesome. Also the price is very good. I've never had an iMac before but I have three Mac Pro Towers. I too like the internal drive space of those metal beasts. 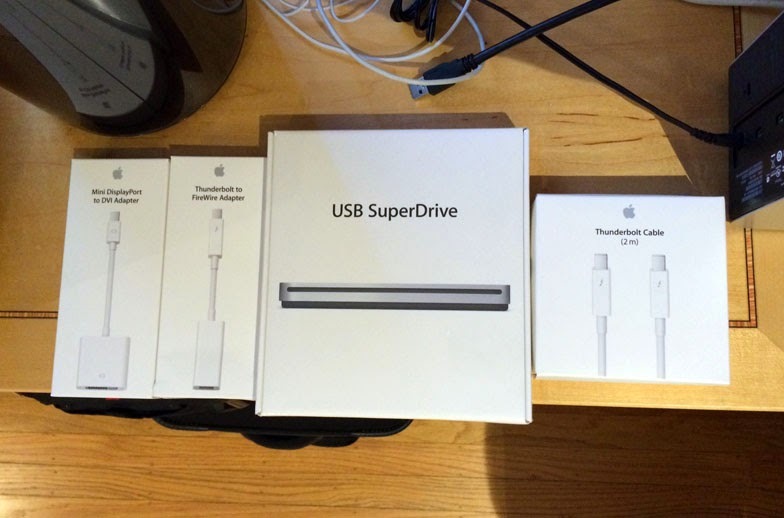 My iMac has Thunderbolt but I found the thunderbolt cables to be VERY sensitive. They aren't just cables, there is a chip in there that is easily screwed up. For that reason, I don't really like the eternal requirement of the new Mac Pro. I have two internal drives in my iMac, one Flash for the startup+apps and one larger 4T for local storage. I hook up two Seagate 4T externals that also have a USB 3 adapter. I use those for client work with one drive being a backup of the other. For active current client work, I use Dropbox. 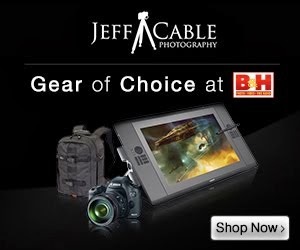 Wow Jeff, that is a serious machine. Good luck and enjoy the new toy. What are you going to do with your old mac pro? Thanks for the info, I'm returning my mini dvi adapter to get what you recommended. I have the 30 inch, so I want it to work properly when my computer arrives in April. Thanks again. 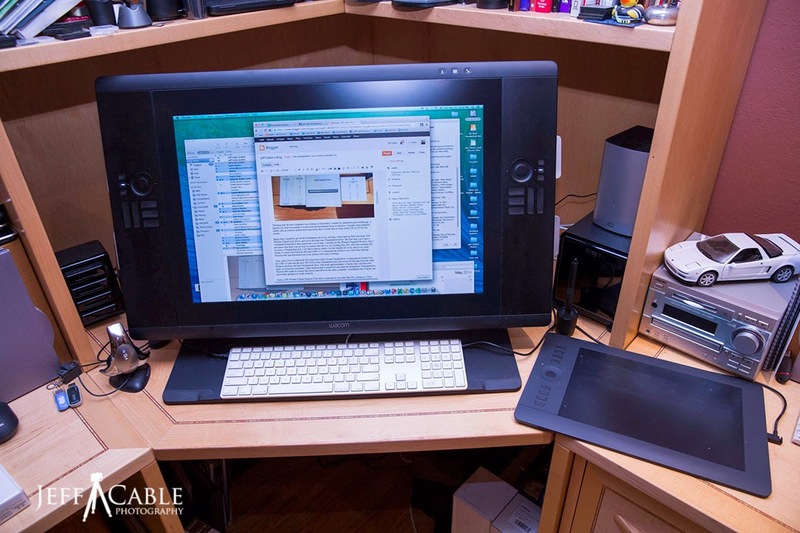 two alternate suggestions: Your Wacom Cintiq 24HD, it has Displayport built in. You don't need that expensive Apple adapter, just a mini displayport to Displayport cable, which the display may have come with. I ran into the same thing Moving from a Mac Pro with an NEC display and my new 15" Retina. All the hard drives from the Mac Pro could have been inserted into an enclosure like the Promise Pegasus2 R4 Diskless. 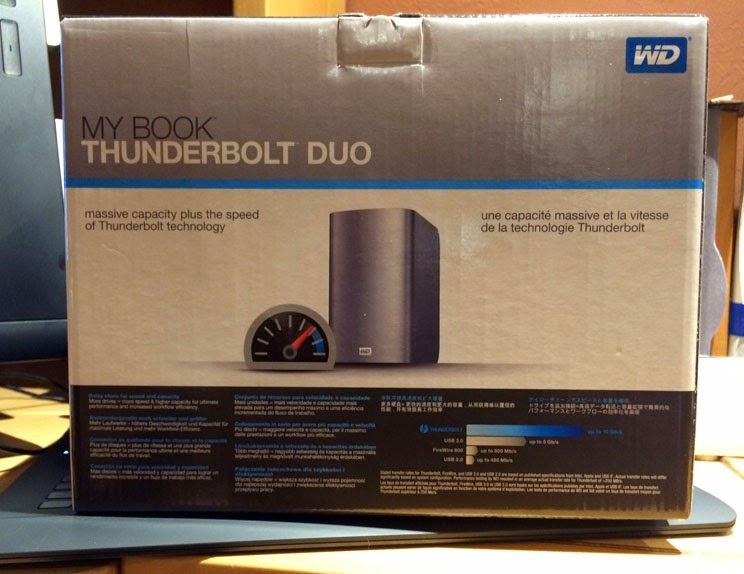 Thunderbolt 2 and no copying data. It has a BYOD option. Jeff: Thanks for the great post! Super helpful. I've heard that it runs hot. Have you experienced that thus far? thanks for the post super helpful. Sounds like a great set up buddy . Wondering if you could help with a quick basic question . Damian - I would clone the drive so that it is a bit-for-bit duplication. That should work on most applications. This is what I have done in the past. Love my little trashcan.... Just silently hums along.... Fast as hell. Still use my old MacPro as well.